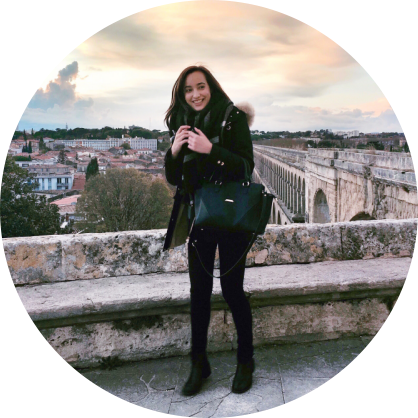 If you go into the city centre, you can't miss these places! Take the time to order a coffee at a restaurant, visit the Basilica de la Virgen de Los Desamparados and the Cathedral, or buy some souvenirs for you and your friends in the small shops. 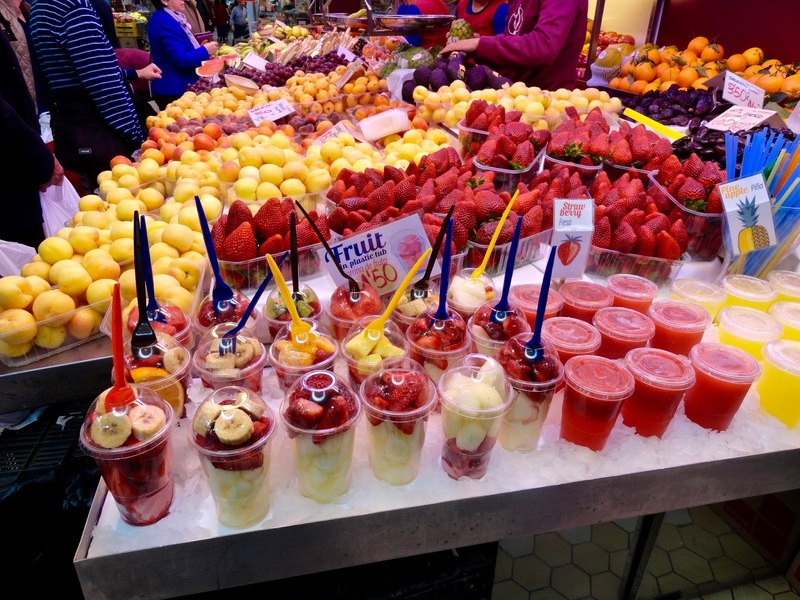 You will find there all kind of products: fruits, vegetables, seafood, meat, cheese and much more. Even if you don't plan on buying food at the Mercado Central, go anyway you won't regret it! The architecture of the building is impressive, with beautiful glass domes, and you will probably get lost inside as there are approximately 400 stalls. 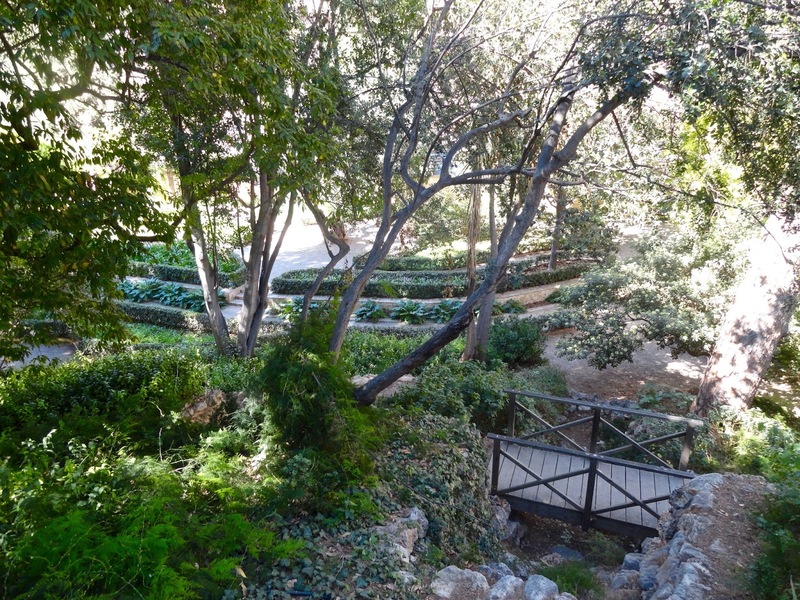 Valencia is full of green areas, which are perfect for walks and bike rides. The most beautiful ones are the Monforte Garden, the Botanical Garden (all gardens are free except this one which costs no more than 2€ if I remember well), and the Royal Gardens. The Gulliver Park is a must-see as well but expect lots of children there. They all climb and slide down this giant playground shaped as the famous character Gulliver! 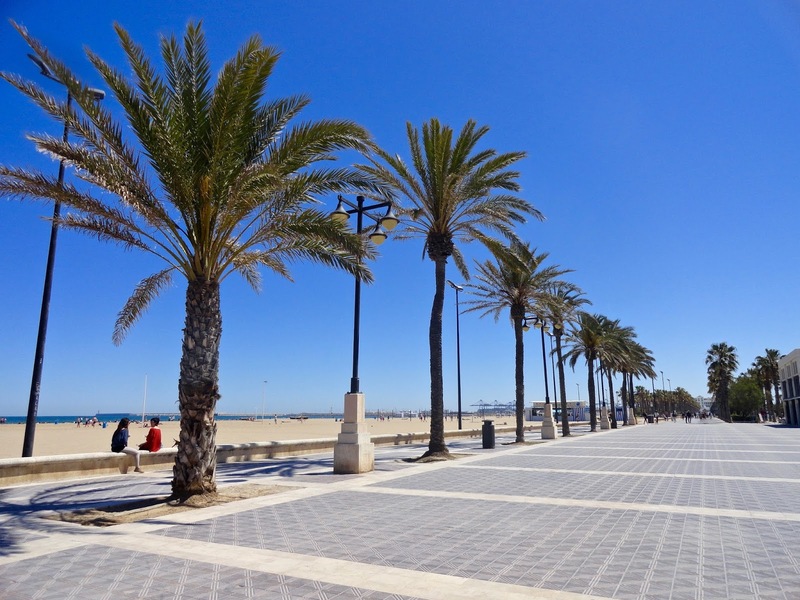 Valencia's trendy neighbourhood, Ruzafa, has many small cafes and restaurants. I'd recommend going to Ubik Café, which is obviously a cafe but also... a library! You can eat tapas while reading a book, but also attend events such as exhibitions, concerts, plays and language exchange meetings. Check their website here to know what they are organising next! 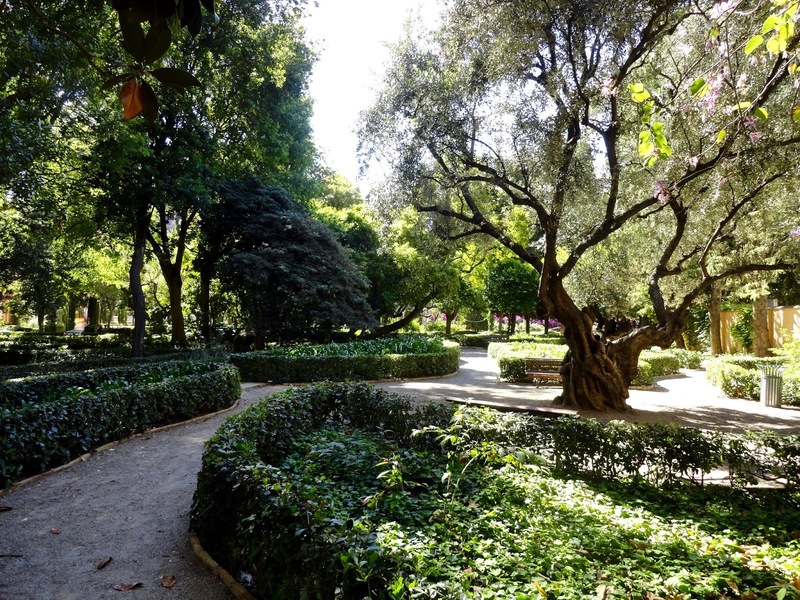 The Turia Gardens runs through the city over a length of 9 kilometers. 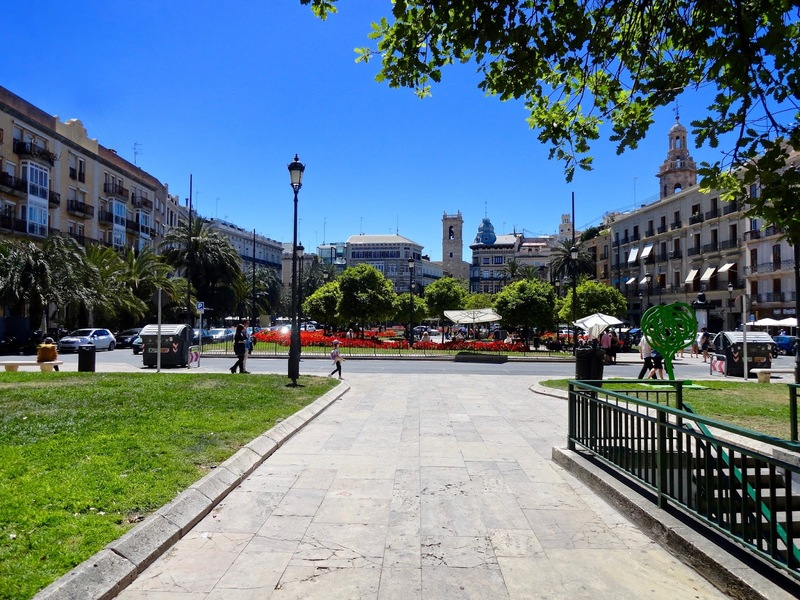 Go there for a nice walk to escape the hustle and bustle of Valencia, have a picnic on the grass and enjoy the view! The nearest stations to get there are Alameda and Turia. The Ciudad de las Artes y las Ciencias is my favourite place in Valencia. It's the most visited area by tourists but the buildings are spectacular! 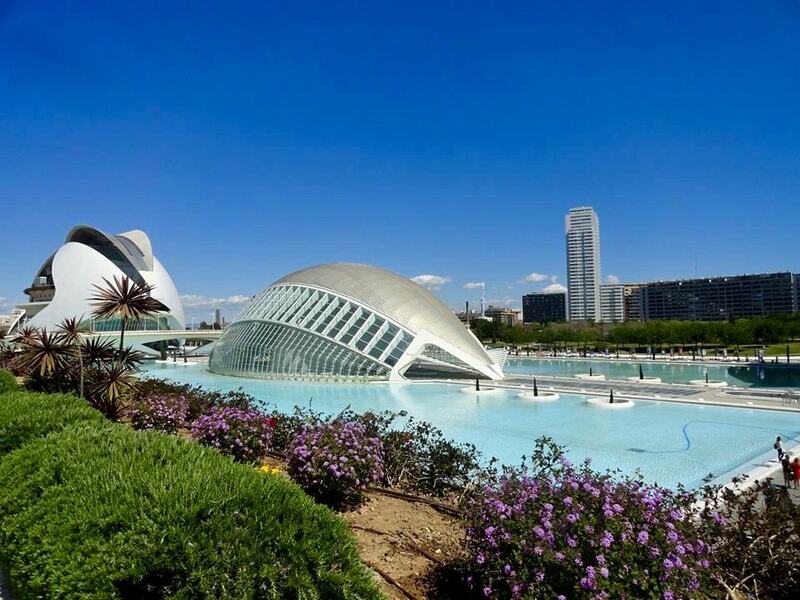 And there are plenty of things to do there: you can go see a movie in the IMAX cinema, visit the Umbracle's botanical garden, the interactive museum of sciences Principe Felipe and also the Oceanografic which is the biggest aquarium in Europe. For 2€ (1€ if you're a student), you can climb to the top of the twin towers called the Torres de Quart, to see the city from above. So worth it... 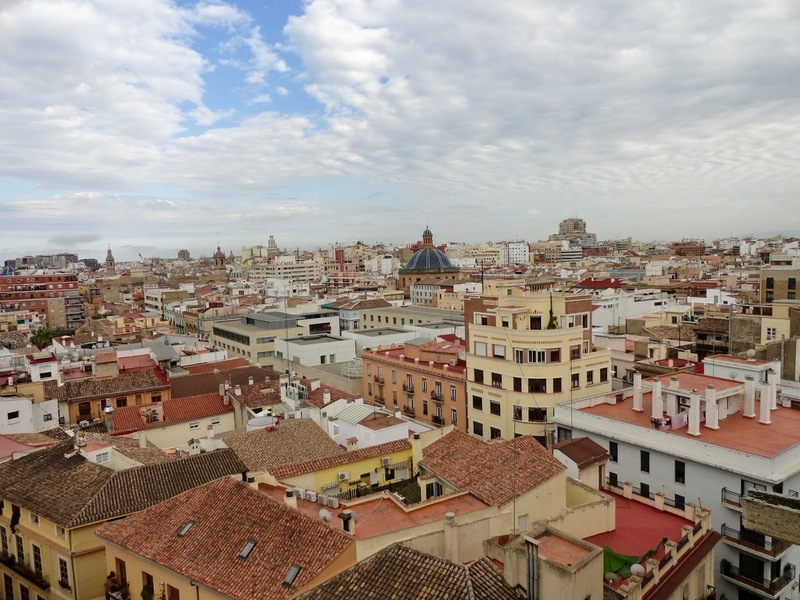 The Torres de Serranos are also open to the public if you want to see another part of the city from above! I have lost count of how many museums I have visited during my stay.  Whether you want to know more about the history of the city or are passionate about arts, you'll find one that suits your interests! 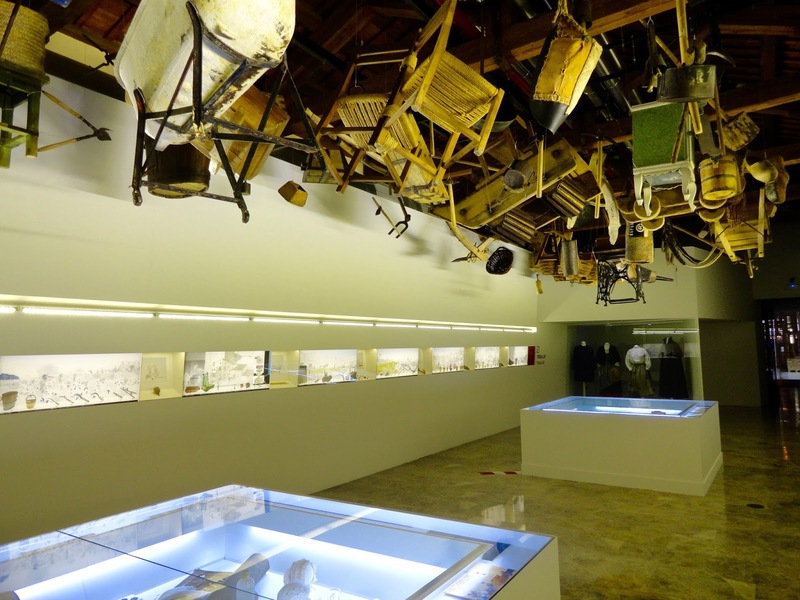 There's a museum for everyone. 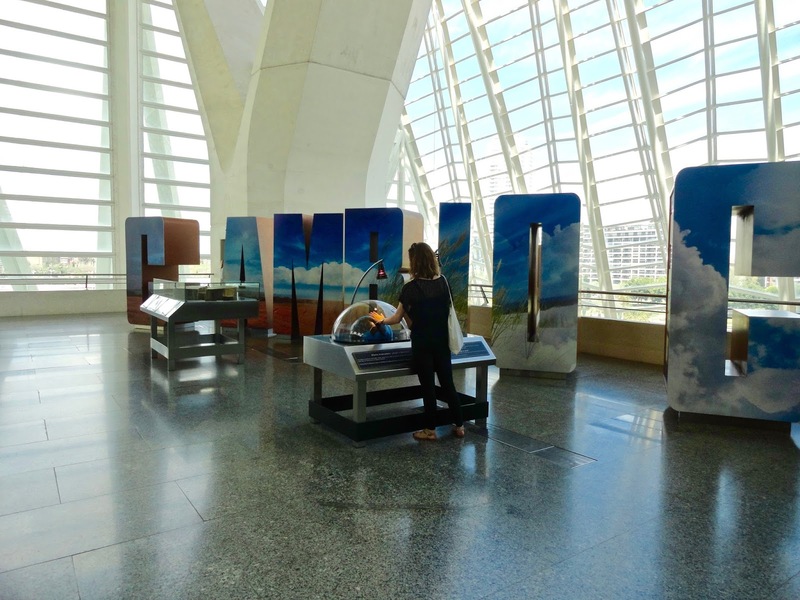 Some examples of museums you can visit in Valencia: the Valencian Institute of Modern Art (IVAM), the Museum of Fine Arts, the Museum of Ceramics, the Jose Benlliure House/Museum and the Blasco Ibanez one, the Valencia History Museum, the Almoina Archaeological Musem, the Rice Museum... And the best part about all of these museums is that they're either free or only cost 1/2€! Horchata is a beverage that looks like milk but it's dairy-free! It kind of tastes like almond milk and is served cold. You will easily find women selling horchata in the streets, they're everywhere. The Agua de Valencia (Valencian Water) is an orange alcoholic cocktail made with vodka, gin, orange juice and cava (champagne). Order one on a night out in the city! Oh, and you have to taste a traditional Valencian paella! A paella costs between 13 and 20€ in a restaurant. Take the tramway or a bus and find a station/stop (Dr. Lluch - Pescadors for example) near the Malvarrosa beach. Enjoy the sun and sunbathe or go swim in the Mediterranean Sea if the water isn't too cold for you! Little tip: don't make the same mistake as I did. Put sunscreen on! Even if it's a windy day and you can't really feel the heat! And if you walk long enough along the beach, you'll end up in a small town called Alboraya. 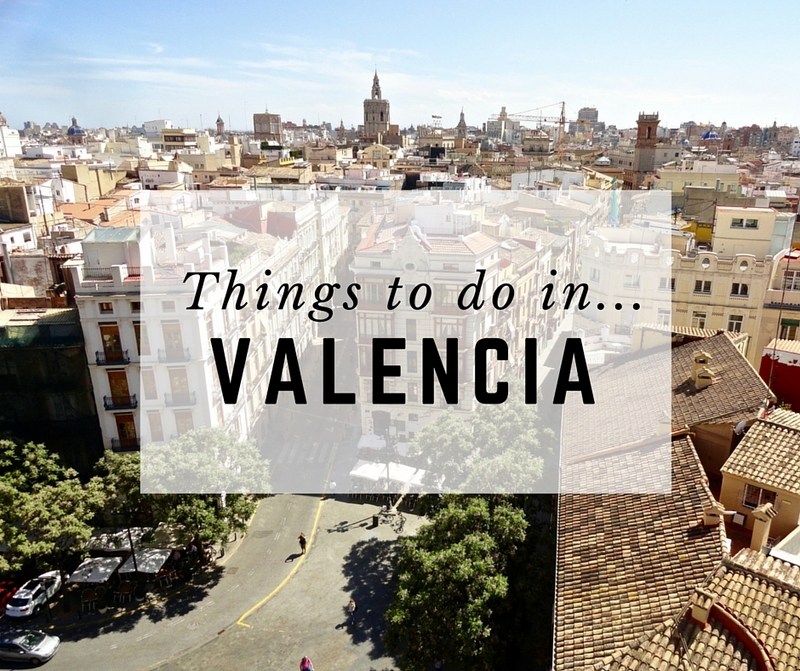 Have you ever been to Valencia? 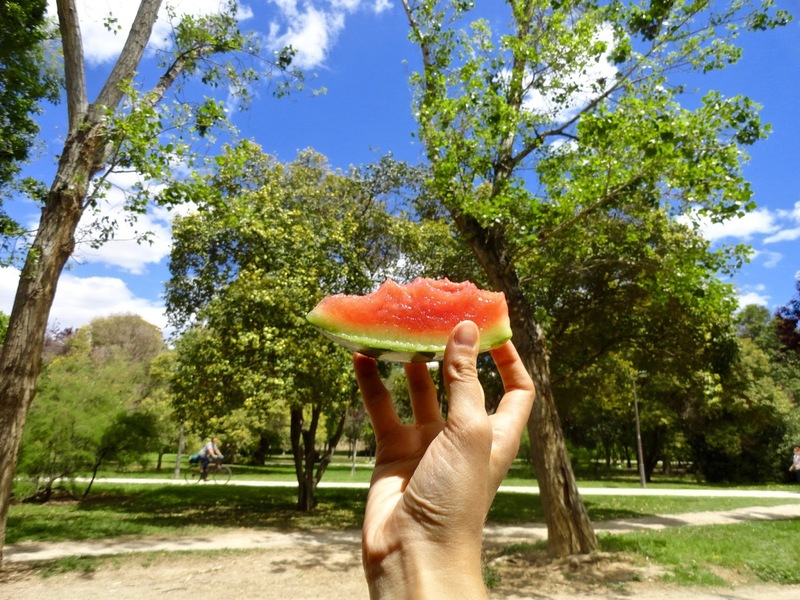 What was your favourite thing you did while on your trip there?